ABP306 and now eats battery like crazy !! How come ? Anyone else ?? What is the source of the battery drain ? Everything is fine here. No change. Check which app is consuming the battery. No negative affects with my battery performance on my BE KeyOne since update yesterday AM. Still excellent. Last full charge 3 hours ago. SOT 45 minutes, calls, texts, I emails syncing and battery is @ 95 percent. give it a couple of days to settle down. I've actually noticed the battery seems to drain faster while I'm using the phone. Also, when it's done charging and it's at 100% if I do the 30 second power button reboot it'll only show about 86% battery remaining. If I top it up again and reboot again it goes back down to 86%. Does this sort of reboot really drain the battery or is something failing to work properly here? Maybe that's why it seems like the battery is draining faster. It could just be misreading the battery power. I would check out the Power Management app and see what's occurring. 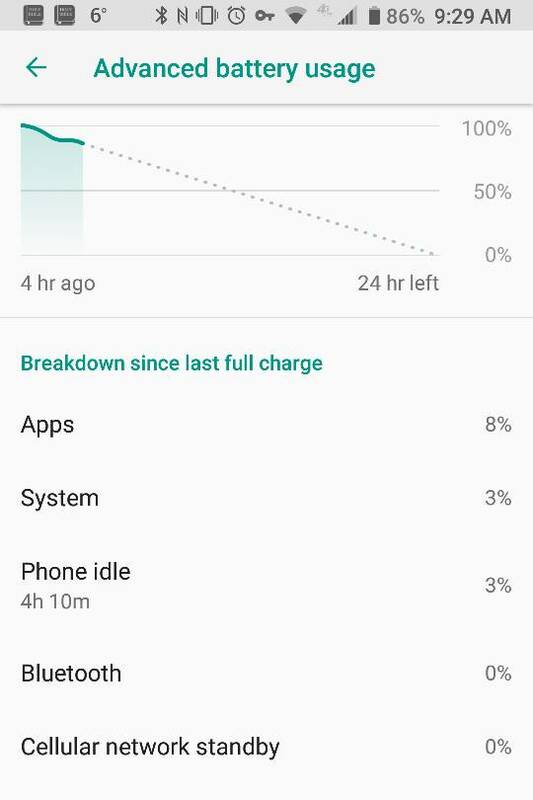 My BE KeyOne that is only a few weeks old has not experienced any adverse changes in its battery efficiency and management. When I switched from my S9 I did a 100 percent clean install and added apps as used regularly or here and there. I know every users usage and needs vary as do their apps (games, no games, social media apps or Web browser) but with how well the KeyOne manages power consumption overall I suspect a rogue app or two. I've been on it for 12 hours now and no battery issues. Yeah. Mine behaved today. Weird. Must've been some anomaly. Check what apps seem to be using power... reload them. Worst case... do a factory reset. At the risk of sounding like conite I've had the update for a few days now and seem to have no adverse battery effects. Check which apps are using battery. TX3 and john_v like this. battery 45 percent, it's never this low, I know my usage so what can be done? GMS and OTA update possible?